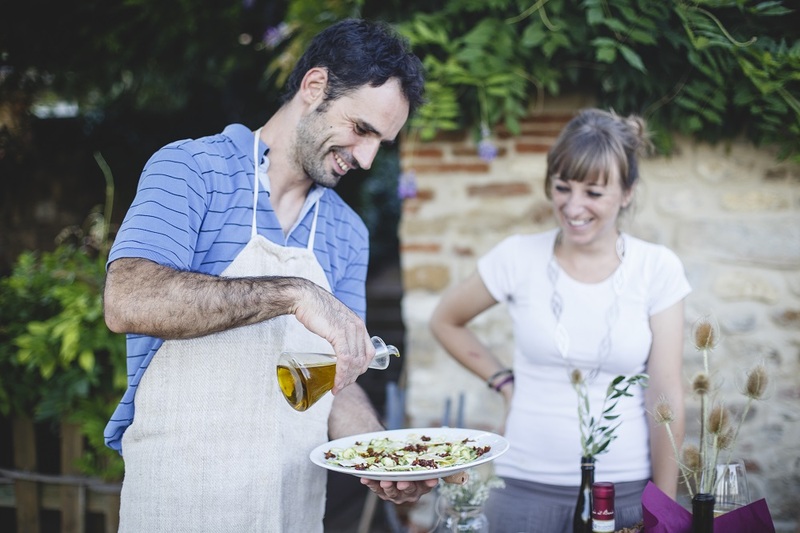 For those who live in Italy, aperitivo as we say in Italian is more than just a ritual. A ‘after work’ aperitif drink with friends, to meet over a glass of bubbles or a glass of red, means you can complain about work/home/your neighbor and not be judged. Winding down the day with a little mindless chatter and a few salty snacks is more important than you might think. Yes it is the Italian version of happy hour normally around 7-9pm, and if I am honest it is just a little better. The word itself comes from the latin word ‘to open’ which works perfectly in this sense. Maybe I’ve become too Italian, but ‘opening your stomach’ to the delights of a later meal with some quality stuzzichini (snacks) seems perfectly natural if not, the way it should be. After all the Italians say L’appetito viene mangiando, “Appetite comes when you eat” and for me this is pretty true. Wanting to learn more about this ancient ritual or that of drinking itself, I scoured the web for information on just how this came about. If you want to truly dig deep they say it dates to ancient Egypt or in the Medieval times when the consumption of alcohol flavored with bitter herbs was used as a medicine, often made by monks in the confines of the church (Santa Maria Novella anyone?). I went on a medieval food tour with a few friends last year that was utterly fascinating when we examine how ‘food and wine’ was viewed in the past. Many bring up the topic of vermouth, a wine fortified and flavored with wormwood, which was invented by Antonio Benedetto Carpano in 1786. Most agree that the aperitivo that we know today hails from the north of Italy, Milan or Veneto which has made drinks like the spritz which for many is the drink of summertime fun, made with aperol, prosecco and a splash of soda water (you can add gin to make it a little stronger). Ever heard of campari? 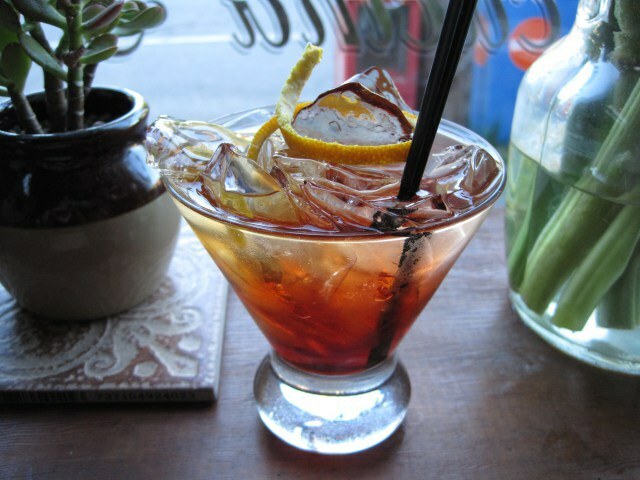 That famous red bitter liquor that so many of us love, and which can be used in a spritz, comes from Gaspare Campari who opened a bar in the 1800’s in Milan and served his drink, eventually mixing it vermouth and soda to create the classic Americano. Milan also is where the Martini family hails from, and where they invented their famed Martini bianco and Martini dry. Which brings me to the most famous cocktail in Florence, something I personally force every guest of mine to try, the strong, the prideful, the simple negroni. All due to a certain Count Camillo Negroni who in the 1920’s asked for an Americano with gin instead of soda, and thus our local cocktail was born. There is also something referred to as an ‘Apericena’ which means that the buffet is enough to make it a dinner and can be a little pricier than budget aperitivo. Many Italian friends of mine will organize this to celebrate an important event or birthday, normally at a bar like Rifrullo in the San Niccolo area where you can get your own ‘apericena’ for around 12-15 euros a head. For those who prefer classics, the classic aperitivo doesn’t normally involve dinner-style food. Fancier joints, like Harry’s Bar, Cibreo, or a nice hotel terrace is where you can try the classic style aperitivo with your negroni or americano cocktail and a few salt snacks like peanuts or pretzels and olives, the perfect ‘date’ to these types of drinks. As a student studying abroad in Florence, my friends and I eagerly sought out the hippest aperitivo joints in town. Our requirements were mainly, the biggest buffet and ‘bang for your buck’ to eat a dinner out of just getting one 8 euro cocktail. As nice as this may seem, this basically means I have seen more than my fair share of cold couscous, limp french fries, boiled eggs covered in some weird mayonnaise, cold pizza and always a cold pasta or rice dish that had tuna in it. I hate that cold tuna with a passion. Not exactly my ideal components for a decent deal but when you are looking for quantity not quality, that’s what you get. Because of my student years, when my friends suggested going for an aperitivo I used to sigh and grumble. Oh no not that place again, last time I got a mojito they replaced the mint with parsley and all the food was gone by the time we got to the buffet, I mean why not simply go for a pizza and beer instead. Alas my love for the aperitivo had diminished, largely because of what I believed it to be. Now it’s not about where I can stuff myself the most, but rather about where I can mix a good atmosphere with good drinks or wine, and some tasty snacks. This isn’t a meal replacement but rather a chance to enjoy a good drink and chat with whoever has decided to join you, and it should remain that way. When I visit Nico’s family in France, we always have an aperitif before our meal, while dinner can be a little distracting, this was a time when we can truly have a chat and go over the day’s events like grownups. They made me appreciate this custom so much more when I saw it a different perspective. 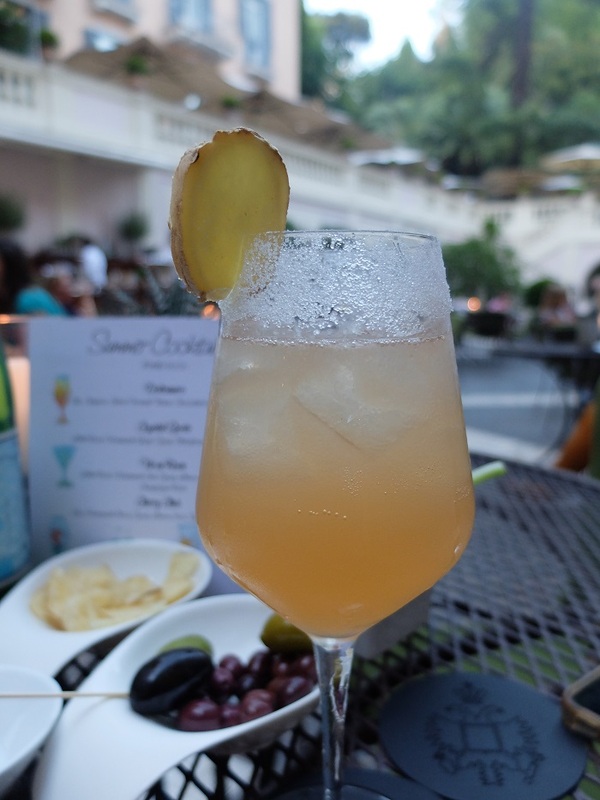 Recently my friend Coral from Curious Appetite Travel took a few of us girls to some of her favorite spots, places that source their wine from small producers and choose local specialties that impress. How much fun is that? Being with an intimate group band led by someone who is not only an expert but knows how to let it be fun is so worth it when it comes to trying new things. Imagine a nice afternoon drinking Italian bubbles from the north of Italy and having a little high-quality lard on bread. Because around here, we’re lard-friendly. Coral works as a tour leader for various group tours and private food tours so she knows where to go and I was 100% willing to ‘take one for the team’ by being one of her taste ‘victims’. 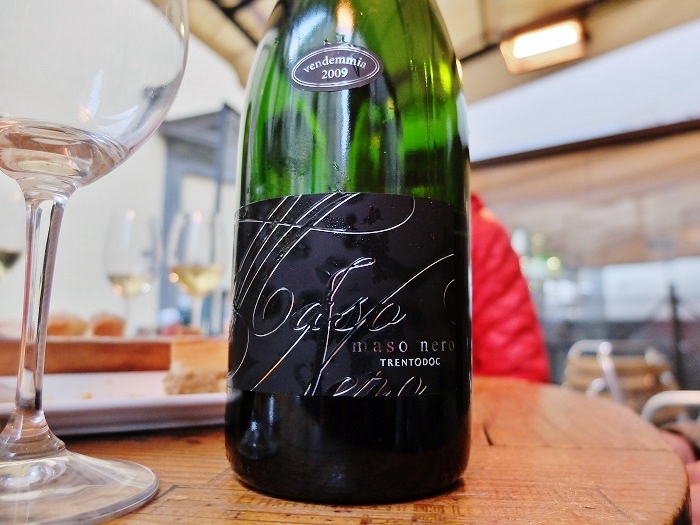 Memories that stand out from that nice day was a beautiful Maso Nero Zeni boasting a nice golden color (chardonnay grapes) from 2009 with hints of toasted vanilla and a fragrant dry flavor. It matched perfectly with the little crostini (toasted bread with various toppings) we were snacking on and I could have dangerously finished the bottle. Northern Italy, especially the Franciacorta area, which produces so many high-quality sparkling wines and is Italy’s answer to champagne. They match perfectly with this before-dinner ritual and also can be paired in a variety of ways. 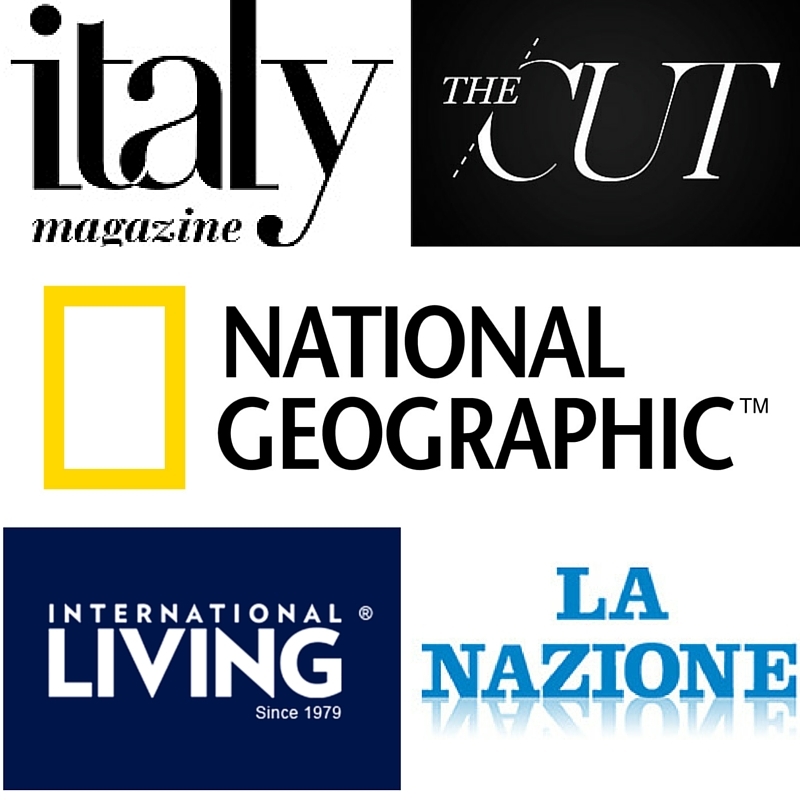 Since Coral knows so much about food and wine, I asked her to add a few tips to this article on where she would go for aperitivo and what to look for. For a more informal aperitivo where you order a couple of crostoni (larger forms of crostini) and craft bottle beers, nice wines by the carafe, glass or bottle and still spend about 10eu a head and sit on the deck is Fuori Porta. I love this place because they have a solid wine list and gourmet crostoni where you can pick your cheese to be melted a top of various bases- including decadent prosciutto cotto from parma and black truffle sauce. If you are a beer drinker, I recently discovered Brew Dog on Via Faenza which has a light buffet highlighting some tasty cured meats, fresh made breads, local cheeses and flavorful, fresh tomato bruschetta. Ideal foods with craft beers on tap, in my opinion! For something really unique and trendy, try the aperitivo at Gnam. They have a few tasting plates to choose from which includes bits and pieces from their regular menu such as a mini-burger, lemon ricotta fritters and seasonal vegetable flan topped with homemade gourmet sauces. If you have allergies, this is a great place because they have gluten-free and vegan/vegetarian tasting plate options as well. They serve wines that one of the owners produces organically and a few international craft beers either on draft or in the bottle. Her points are spot on, as always, and I am dying to try those Pugliese specialities and the aperitivo at Gnam. Since on any given moment the places I love can change ownership or close down, it can be hard to recommend a list of places to people in singular posts though I keep a list of my favorite places here, that I constantly edit and update. 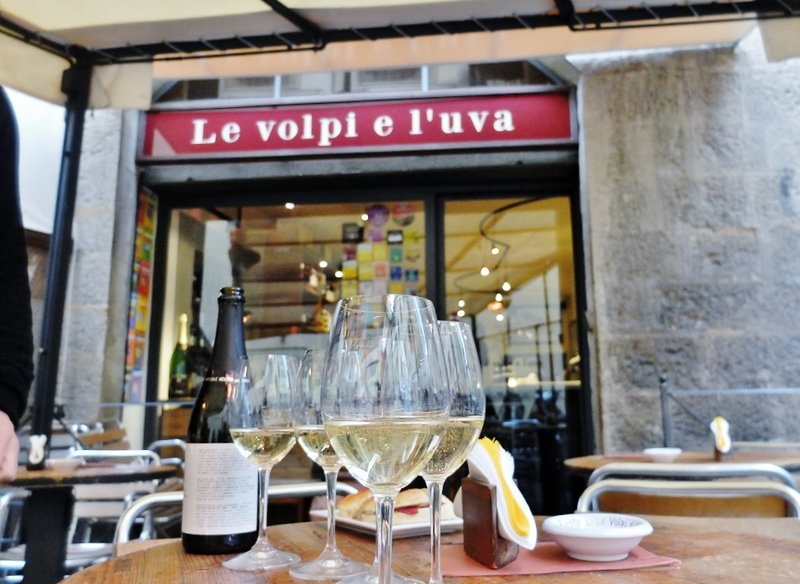 Just out of curiosity, I googled ‘aperitivo in florence’ and wasn’t a big fan of a lot of the places you see listed but in the are of sharing, here are a few of my personal favorite places, along with Coral’s suggestions, to grab a drink before dinner that I think you would enjoy too. Il Borghesino, Via dei Pandolfini 39/R, is a new find of mine next to the Borghese Palace Hotel near Santa Croce. My friend Shannon alerted us to the fact that there was a place in Florence with its own Negroni cart (no joke). Their aperitivo is quite nice, more snacks than a full buffet but the price/quality ratio here is spot on! Langolino Gastrobar, via della caldaie 8r (santo spirito neighborhood). Facebook. A tiny space that literally means ‘little corner’ that is exactly that. A tiny, little curated spot with a nice indoor decor and a lovely selection of organic wines, cheese and meat plates, salads, crostini and more. This is a recent find for me and I am in gourmet love. It also helps that the high-back wooden chairs have the Santo Spirito carved into them. Ditta Artigianale Oltrarno, via dello sprone 5r. 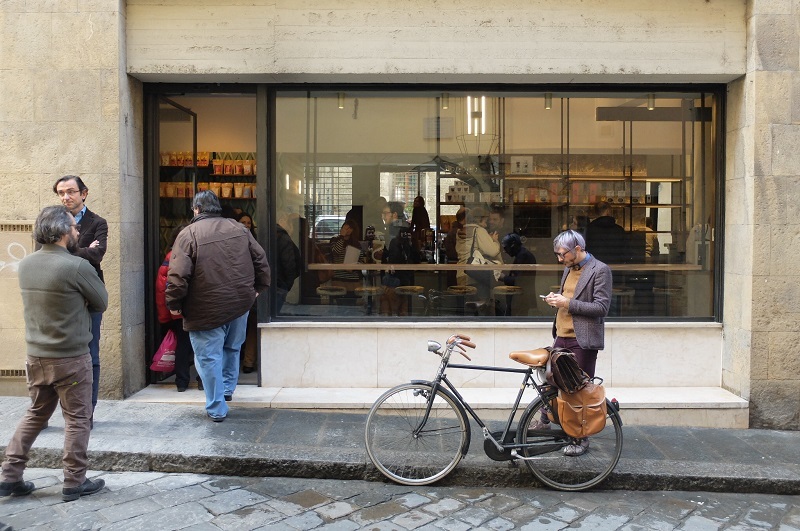 The coolest coffee bar in Florence has JUST opened a second, very hip location in the oltrarno neighborhood which means I will be over-caffeinated more often now. In addition to their coffee bar and restaurant, they also have a full drinks bar which means this could be your new spot for a before or after dinner drink, gin-based cocktails are their specialties. Gurdulù, via delle Caldaie 12/14 r (oltrarno- santo spirito). I am in love with this new restaurant in the santo spirito neighborhood, a hip bistro serving up contemporary takes on Tuscany dishes. 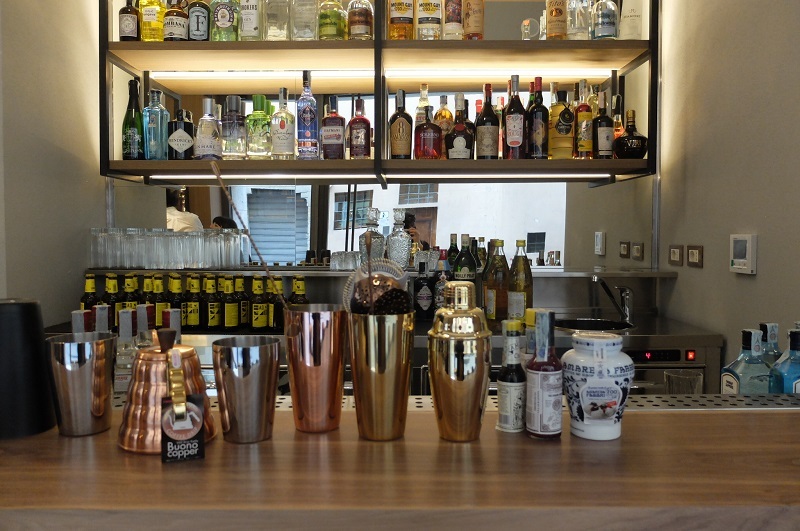 Another plus is their very cool bar handled by bar lady Sabrina Galloni. This is a wonderful spot to get a nice drink with a la carte snacks from their menu, especially made to pair with Sabrina’s cocktails. Gecko, Via dei Renai, 11, 50125 Firenze. A new spot in the San Niccolo neighborhood that has a very NYC bistro sort of feel. They serve a nightly aperitivo buffet that is quite nice, for the price of a cocktail or glass of wine. Casa del Vino, Via dell’Ariento (San Lorenzo neighborhood). 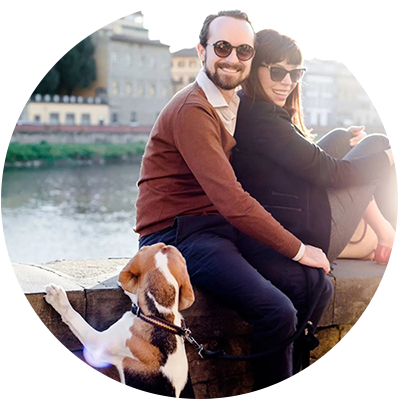 A Florentine institution for a reason, high-quality products and wine, this is somewhere that I love to take friends visiting Florence to experience lunch or aperitivo as a Florentine would. It closes early (latest 7:30-8pm). The Box, Via Borgo Pinti 5r, (duomo neighborhood). An unassuming little bar where people often spill into the street, but the drinks are cheap and good, and I appreciate the vibe. Uva Nera, Borgo Ognissanti, 25-red. I adore this wine bar outfitted in vintage decor, with soft music wafting in the background. Constanza, the owner, serves excellent wines. 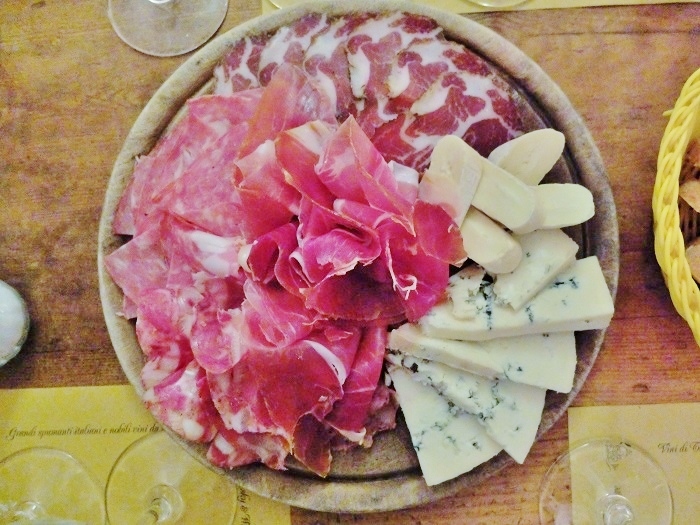 The aperitivo consists of a cold cut/cheese platter with your wine. Great value and quality, you can’t go wrong here. l”Volpe e l”uva, piazza dei rossi 1r. (oltrarno) The kind of place you want to stay and drink all day. Quality wine bar in the oltrarno, call ahead to reserve a spot on the outside terrace, it gets busy during the warmer months. Il Santino, Via di Santo Spirito, 60 (oltrarno), cute wine bar next to Santo Bevitore, they do some excellent wine and food parings but since it is a small location, they tend to fill up fast. Sabor Cubano, Via Sant’Antonino, 64 (san lorenzo neighborhood), adjacent to the Mercato Centrale, is a small cuban bar that is a gem to us locals. Here you can get a damn good margarita with black rock salt for around 5 euros (really) and piping hot plantain chips. Needs I say more? Lo Sverso, Via Panicale, 7R (san lorenzo neighborhood). This is definitely a sign of the changing times, before this area was as sketchy as Florence gets, and now people are mixing up their own ginger beer in fusion cocktails in small bars like Lo Sverso. This is also a cool place for lunch (and they have working WiFi). Circolo Aurora, Viale Vasco Pratolini, 2 (Tasso neighborhood – Oltrarno). My Florentine friends will probably kill me for including this because they hate when I give away local secrets but this place, is cool. Nestled in the corner of one of my favorite piazzas in Florence (due to the great restaurants), Aurora is cool both in winter and summer, and they know how to mix a moscow mule that won’t break the bank. Hemingway, Piazza Piattellina, 9 (Piazza carmine area). I love this place because their cocktails are excellent and the aperitivo is pretty good too. Well known for their hot chocolate. Amblé Firenze, Chiasso dei del Bene. (Ponte Vecchio) In a tiny hidden courtyard very close to the Ponte Vecchio, this hipster joint is a wonderful place to get a drink served in a jelly jar during the summer months. Sweet Wine Bar, Via di Ripoli, 8, Firenze. A little outside of the center, but an easy bus ride is a wine bar that I really like. 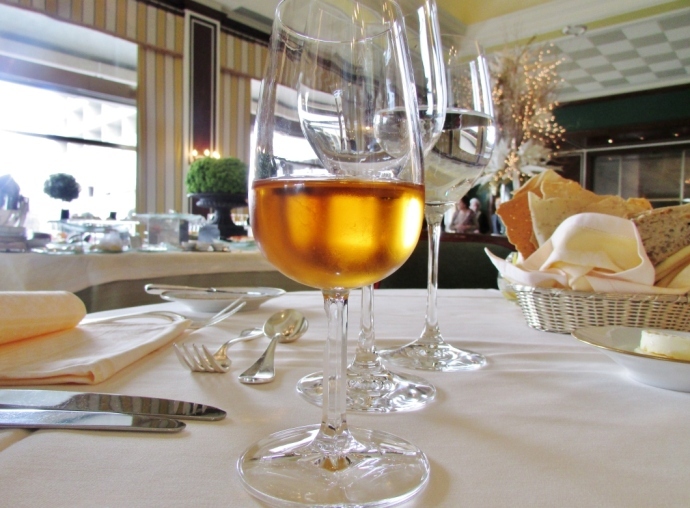 Here you can find a variety of interesting wines suggested by the owners that change daily, the aperitivo buffet is also really nice. Ditta Artigianale, Via dei Neri, 32 (Santa Croce – Piazza Signoria). One of my favorite coffee bars in town also has a wonderful cocktail list with every single kind of gin a girl could dream of. Great place for a drink! 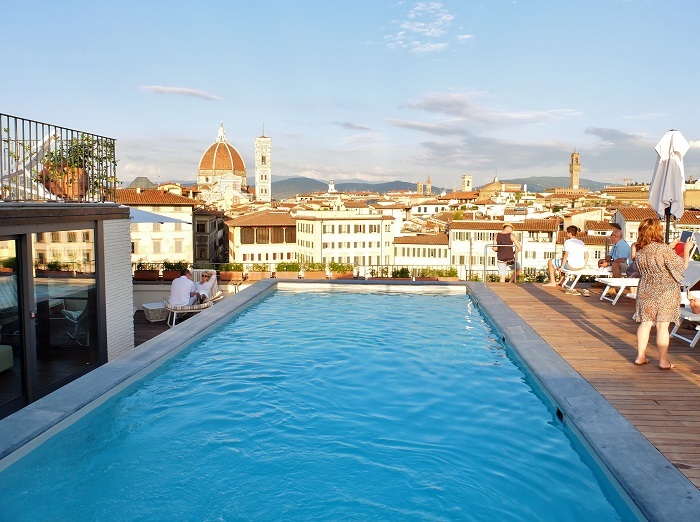 Sesto On Arno, Hotel Excelsior, drink with a view on the gorgeous terrace overlooking Florence, Piazza Ognissanti, 3. Drinks are pricey but worth it :). Hotel Cavour, Via del Proconsolo, 3. One of the best views in town and perfect for a pre-dinner drink. I like this place a lot btu you may want to call ahead to reserve a spot. +39 055/266271. Hotel Kraft, Via Solferino 2. Also a terrace view hidden gem that has some nice views of the city, plus a decent cocktail menu. Oblate Terrace, Via Dell’Oriuolo, 26. Duomo area. This place is great for a drink (that is much less than other terraces) but I am not a huge fan of their aperitivo buffet. The view here is Duomo-in-your-face. Hotel Continental, Vicolo dell’Oro, 6r. Gorgeous terrace in a nice design hotel, drinks are expensive but you have a bird’s eye view of the Ponte Vecchio. The bar located across (Fusion) has one of the best bartenders in the city which is almost (too) convenient. Forte Belvedere, Via di San Leonardo, 1. When this is open during the summer, I adore taking people here. The views can’t be beat. The latest exhibit opens April 26 – September 27th. Follow them on FB to see updates. Grand Hotel Minerva, Piazza di Santa Maria Novella, 16. I’ve had a lot of fun on this rooftop, plus sipping prosecco next to a pool is just so los angeles isn’t it ;-). Terrazza Brunelleschi, Piazza dell’Unità Italiana, 6. Did you know a 360 degree view like this existed so close to the train station? Go there for a negroni and a sunset :). 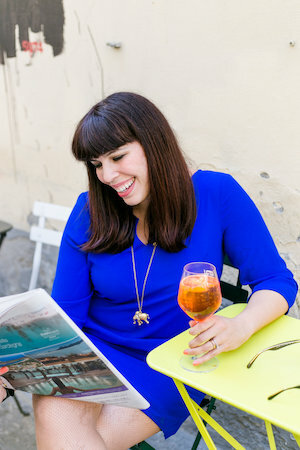 Lastly if you are looking for someone to take you on a taste journey, I highly recommend Coral who offers her own aperitivo and dinner tours that I have personally went on and really enjoyed, she writes about her own thoughts on this Italian tradition here. Cin Cin everyone! And guess what, I want to hear from you! 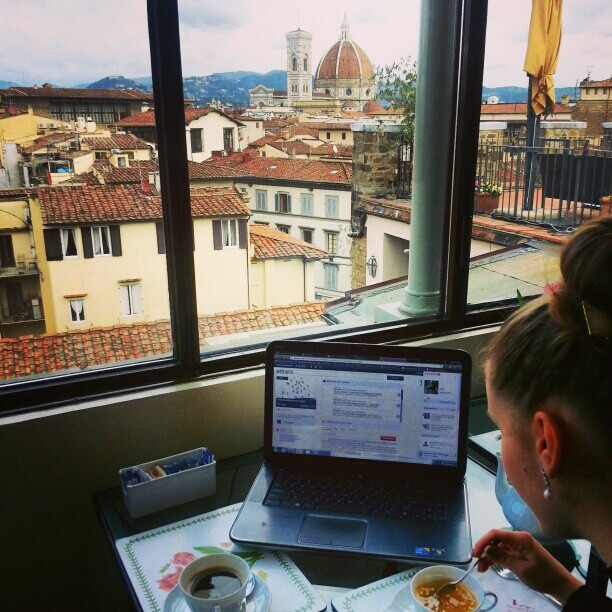 What do you think about the Italian happy hour and what places should I try in Florence or beyond? Aww Slyvia, I hope for your sake that spring arrives soon! Easter chocolate windows, pray god tell me more! That sounds amazing. I would love a negroni myself and it is almost 5pm.. So you mean we can have an aperitivo at Gnam too???nice! Thanks girl! I can’t believe that I had yet to tackle this topic :). Wish I blogged when I lived over there and could join all you ladies. Have an apertivo for me! I love Campari..I love it on the rocks. But after having a Negroni I’ve switched to the mixed delight. With that in mind I think it’s time for a cocktail. A great post- as usual! Seems like there is a lot of “research” to be done! Brava! Great post! So many great ideas for my next trip…it can’t come fast enough (not to mention the great history lesson too)! Ciao Tony! I appreciate you reading and commenting, I seriously need a drink too – after all it’s Easter weekend! I love Oblate’s aperitivo! My go-to was Pop Cafe in Santo Spirito. I think it’s 6 euro for a glass of wine/beer and good, different, flavorful food. The bland tuna and cold rice/pasta combination is nowhere to be found. And the bartender there made me one of the best martini’s I’ve ever had in my life. Ciao Olvia! It’s been awhile been to Oblate for aperitivo/food but I often go for a spritz or a coffee, plus that VIEW> Thank you for mentioning pop cafe, I actually go there frequently during the summer, I wouldn’t say there food is ‘great’ but I do like the cocktails and the vibe, bring on summer! We’ll have to add the others to our list to try while in Firenze in May. Thanks for the tips! Ciao Susan! You got it, I admit that I was actually there yesterday afternoon for a drink and it always remains consistently good AND a good price, which I really appreciate. There are many wine bars in town that are good, if you need any more advice, feel free to ask! I’ve spent some months in Florence and I’m planning to come again next year. 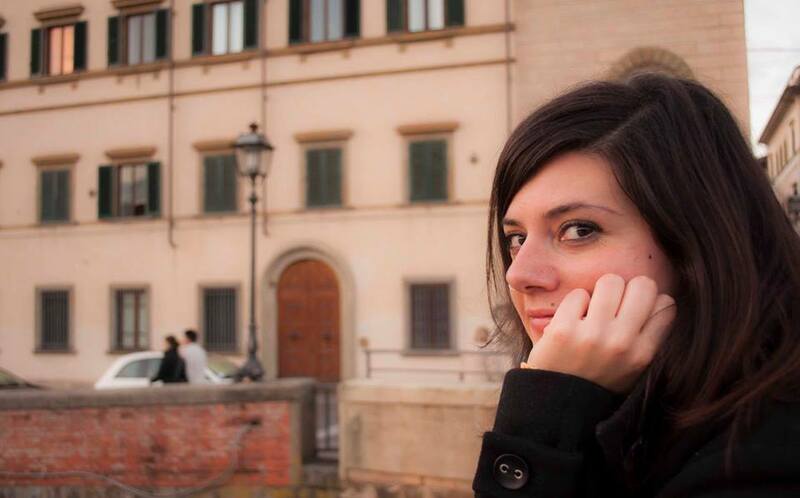 Before those stays, I didn’t know how wonderful this city was, but I literally fell in love with Florence :)! Therefore your blog is a joy and I also LOVE your tips and descriptions :). I’ll certainly go to Gnam, which I hadn’t heard before. Dumb question on apertivos outings….I don’t drink (alcohol) but love my food! Can one go to these venues and order a regular drink and be allowed to eat the appetizers? Also, do any places serve NA (non alcoholic) beers? Thanks! Hi!! Cute blog! What are your recs for best quality snacks with aperitif? It’s my fave and hubby is always snooty about it. I’m vegan, he is not, but vegan options always a winner. Top three restaurant recs too? Ps we’re staying at villa la manna for their tennis. Know it? I would do a caprese spiedini(cherry tomatoes, basil with mozzarella), roasted red pepper dip, hummus, guacamole (my favorite), roasted cauliflower and the list goes on… I try to make everything myself so that I know exactly what goes into it. One vegan friendly Italian summer recipe I love is eggplant caponata (here is Mario Batali’s recipe). For vegan/vegetarian restaurants here’s a list for you. I personally love Konnubio on that list, Brac and Carduccio. I don’t know Villa La Manna but have a great time!